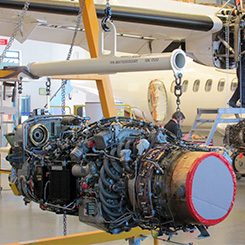 AEROMEC, a reference Company in the maintenance, repair and overhaul of aircraft and components, has an Environmental Management System implemented based on the NP EN ISO 14001 Standard. AEROMEC is committed through the implementation of this System to follow the best practices and legal requirements managing continuously all environmental aspects, risks and emergencies. AEROMEC is really driven to provide services of excellence with enhanced Customer focus following its policy of innovation, continuous improvement and protection of the environment. Quality and Safety requirements are the core priorities taken into consideration in all our activities, contributing to the Excellency and sustainable success of our business operations, assuring the highest quality and safety levels at all times, thus increasing the trust and loyalty of our Customers and Partners. The Corporate Management has the responsibility to achieve all established objectives bearing in mind at all times the quality and safety aviation stringent standards and regulations, through the implementation of the Quality Management System (QMS) with defined principles and procedures and the development and training of all employees. The implementation of a continuous improvement Lean Program is also paramount for the Organization to be more effective in the search for Excellence. Accomplishment of the defined Quality levels and Standards. Implementation of a rigorous dedicated Training Program to all employees. AEROMEC’s Corporate Management has established stringent criteria for the fulfilment of all procedures and applicable standards, in the pursuit of a Brand of Excellence, recognized by the Customers and Partners, upon the quality of the services rendered by all AEROMEC’s employees. 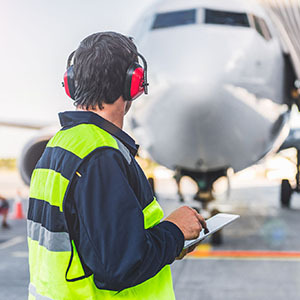 Quality and Safety requirements are always present in AEROMEC’s Certifications, which are fundamental tools to promote Customer’s and employee’s satisfaction, evidencing that all processes are designed and properly adequate for the provision of services as per the agreed scope. Promote the close collaboration and coordination of all employees with the Quality Auditors. The QSP implemented is reviewed wherever external or internal circumstances changes. To assure an effective QSP communication its principles are shared among all employees in electronic format and printed in strategic places inside the Company. The Safety Policy included in the Company´s QPS is equally defined in the “Safety, Security and Fire Protection” manual, available electronically and subjected to training actions periodically to all employees. AEROMEC has clearly defined rules, responsibilities and competences for each employee, as well as their mission and function profile statement. The functions are revised whenever necessary, reflecting the changes in the company. Each employee has to sign his / her “Functions Specifications document”. Each Accountable Responsible is defined in the Organizational Chart. The Head of Quality reports directly to the Company’s President.